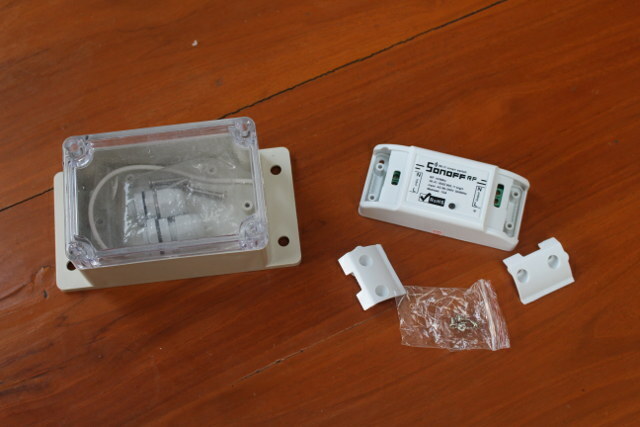 ITEAD Studio recently launched a waterproof enclosure for $2.90 (now at still a decent $3.90), rated IP66, for their family of Sonoff wireless switches, so you can safely use them outdoors protected from rain and dust. 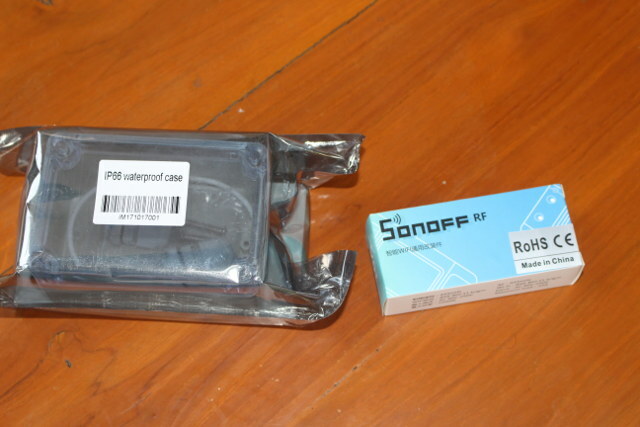 The company sent me one sample together with Sonoff RF switch supporting WiFi and 433MHz RF connectivity so that I can test the case, and write a review describing my experience. 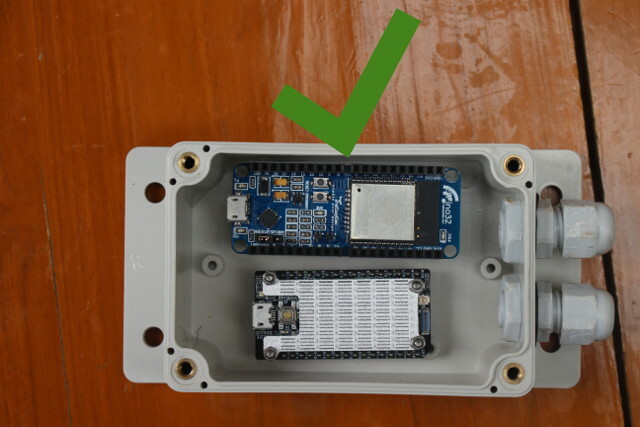 I’ll focus on the waterproof since this is the main focus of this review, and beside Sonoff RF, you can also use Sonoff basic, various other Sonoff boards (POW, TH10/T16), and even other development boards as we’ll seen below. 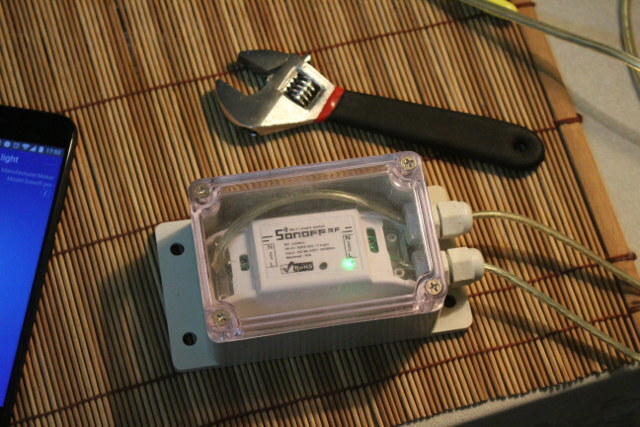 I’ll be using the stock firmware with eWelink app, but if you prefer alternative firmware like ESPurna or Sonoff-Tasmota, you may want to flash it to your Sonoff now. The waterproog case has two parts, a rubber cord, two waterproof PG7 connectors, and four screws. 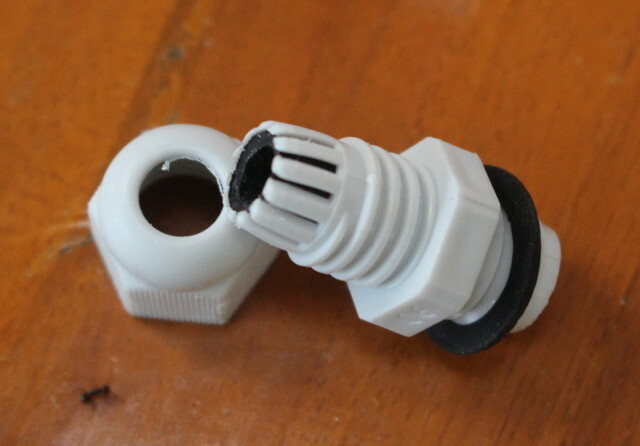 The PG7 connectors are comprised of two parts, a rubber washer, and another rubber joint that is squeezed when the top nut is tightened. That design means using round cables will probably give better waterproofness, but it also worked with my not-so-round-cable. 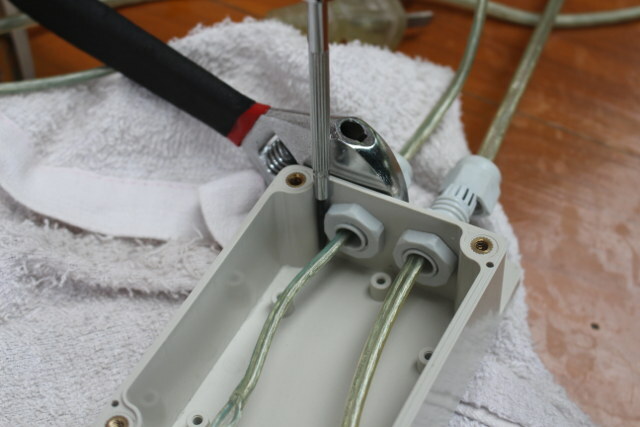 You can either start assembly by connecting the waterproof connectors to the case, or inserting the cables into them. I selected the latter. There’s very little space in the case for tools, so the first time I used my fingers to hold the inner nuts, and a tool to tighten the ones outside. Finally, it did not work that well, as once I completed the build, water would go inside through the PG7 connectors. So for my second try, I used a precision screw drivers to hold the inner nuts into place while tightening then from the outside of the case as shown above. We can now connect the cable to the board, and place the latter inside. It’s actually really tight in the box, and I struggled to place Sonoff RF inside the case, but this can be done. 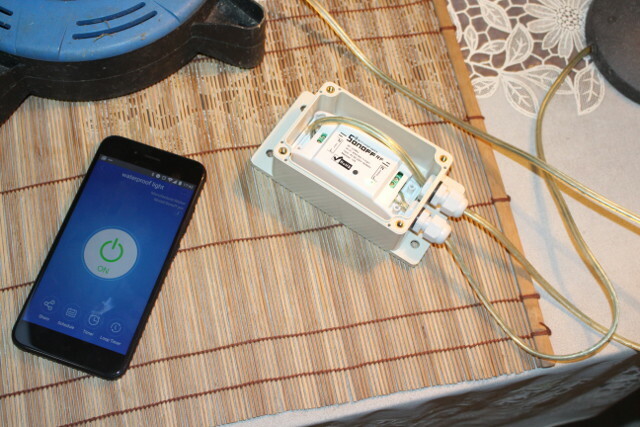 We need to press the top button on Sonoff RF to pair the device with the app, so at this stage, I made sure I could control the light with my Android smartphone and eWelink app. All good. 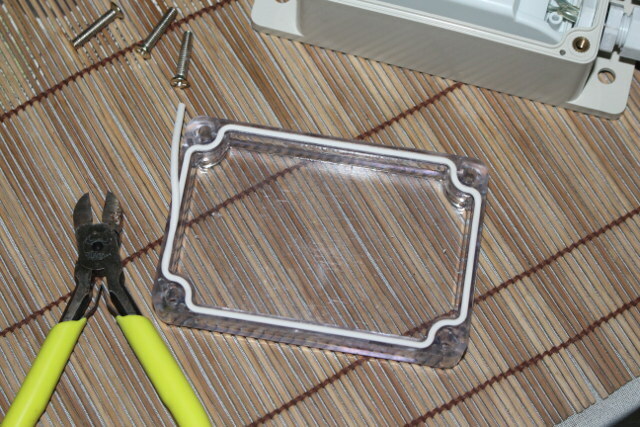 The last step of the assembly is the top acrylic cover. 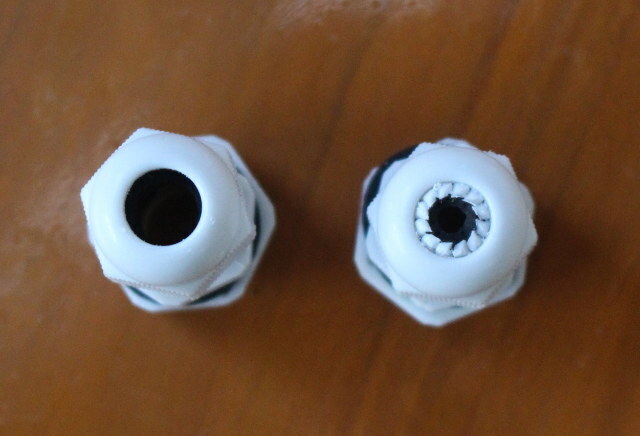 We need to place the rubber cord inside the groove around the cover, and since it’s a bit too long, we can cut it with a few millimeters extra, and push the cord in the groove to make sure there’s no opening. 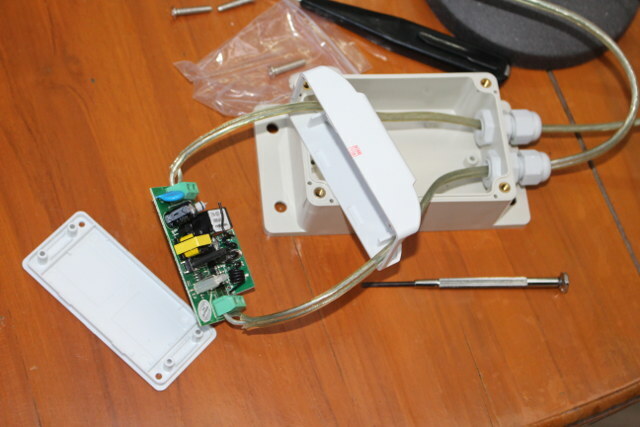 Tighten the four screws, and the two outer nuts on the PG7 connectors, and perform one more test to make sure we can still control Sonoff RF. 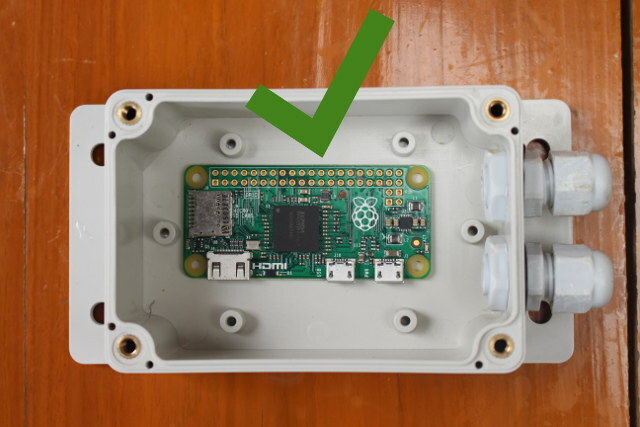 If that’s all good, we can now disconnect our setup from the mains (important step), and insert the case in a bucket of water to check for bubbles, and whether water can enter inside. If I just fully immerse the enclosure, I have no water entering, but if I go a bit deeper, and move the case around, water will go inside. That’s OK, as IP66 only guarantees protection against dust that may harm equipment, and against low pressure water jets, so you should definitely NOT use the case under water, it’s only good against rain and humidity, and should prevent insects from entering the case too. I’ve shown the latter tests in the video below. At the end, I spray water while the light is on, and water did not go inside at all. 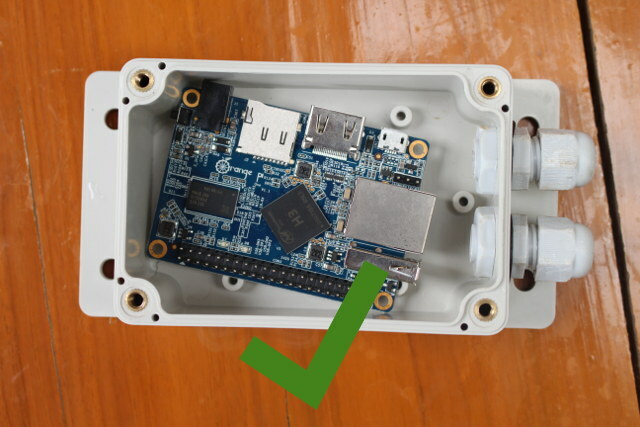 If the outside of the case is humid, please do not touch it while it’s connected to the mains (like I did in the video), as it’s not 100% safe to do so. As discussed earlier, ITEAD Studio can be used with other boards, and while the company provides the exact dimensions in the Wiki, I’ve quickly check whether it could be used with other boards. 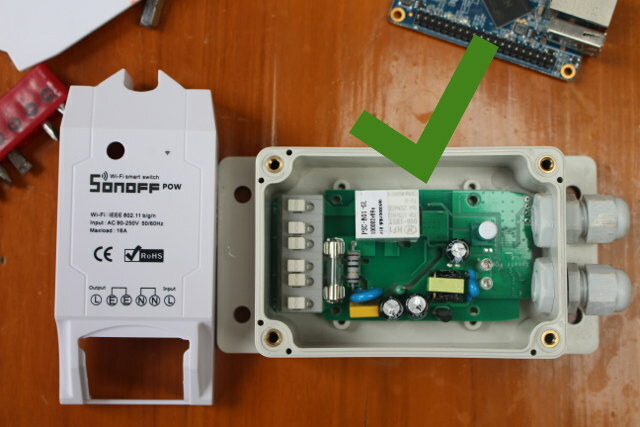 Sonoff POW is a yes, without the case, and it’s really tight. Sadly, Raspberry Pi 2/3 boards, and clones are just a little too big. But there’s plenty of space for Raspberry Pi Zero (W), and extra hardware, or/and battery. Orange Pi One fits, and you could use both Ethernet and power cables. ESPino32, a rather large ESP32 board, and NanoPi Duo, are no brainer, and I could even place both at the same time in the case. Other breadboard-friendly boards should fit too, unless they are too long. If you use the case for alternative use case, you may only need one hole, so you’d have to close the other one. I was unable to find the name of the part required to achieve that… yet. I’d like to thanks ITEAD Studio for sending the case and device for review. 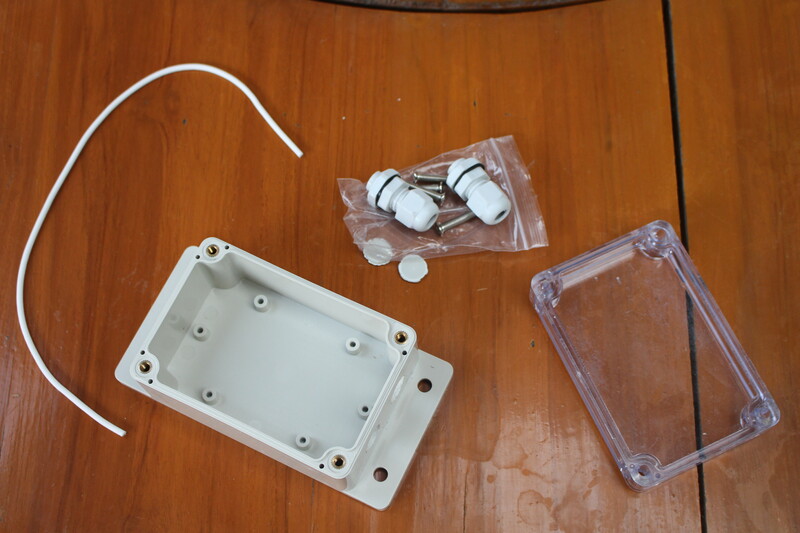 You can purchase the IP66 waterproof case for $3.90 or the full kit with Sonoff RF or Sonoff Basic for respectively $11.10 or $8.75 plus shipping. It’s a shame sonoff haven’t created a nice aesthetically pleasing case for their standard wifi switches including a button for local control. They would then be ideal for in line lamp switches but the current look is just to industrial. 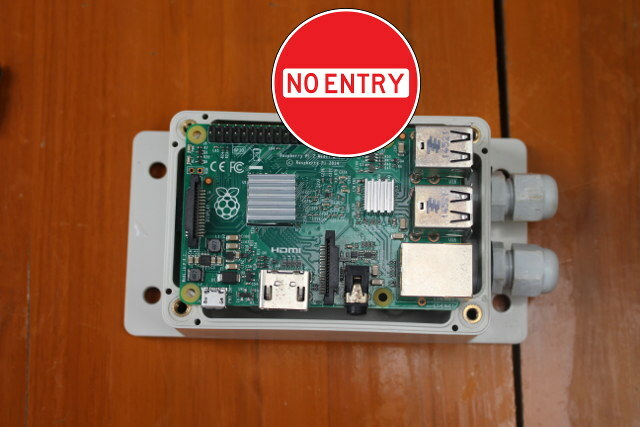 To anyone reading this from sonoff …. create this case and you’ll sell even more!